This month's Staff Picks include a bronze sculpture, jewelry, and a unique Georgian era document. Read on to learn about what our staff are loving this month! 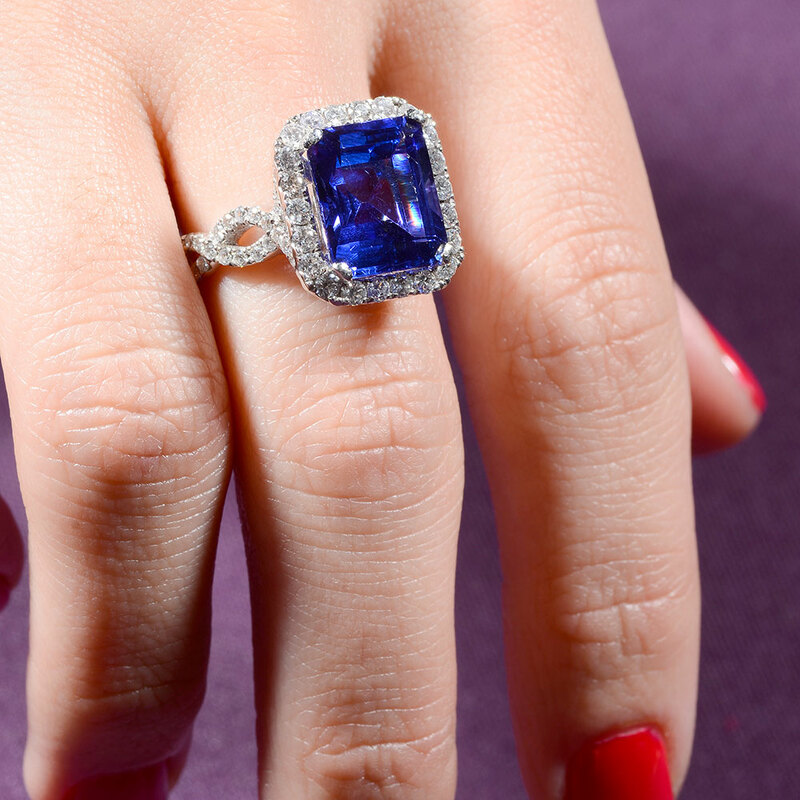 The above tanzanite ring is staff member Vida's choice for March. "The first time I looked at this gorgeous ring I thought, wow! It is just magnificent looking," she says. "I am going to put it on my wish list!" Michael's choice is also a piece of beautiful jewelry, a turquoise necklace by Gerald Mitchell. "I did not realize that turquoise came in such different colors, and it really caught my eye," Michael says. "The turquoise comes from the Royston mine in Tonapah, Nevada - not Arizona where I usually associate the more common blue turquoise coming from. Just another example of the surprises the natural world holds. This necklace would be such a stylish Western wear accessory." 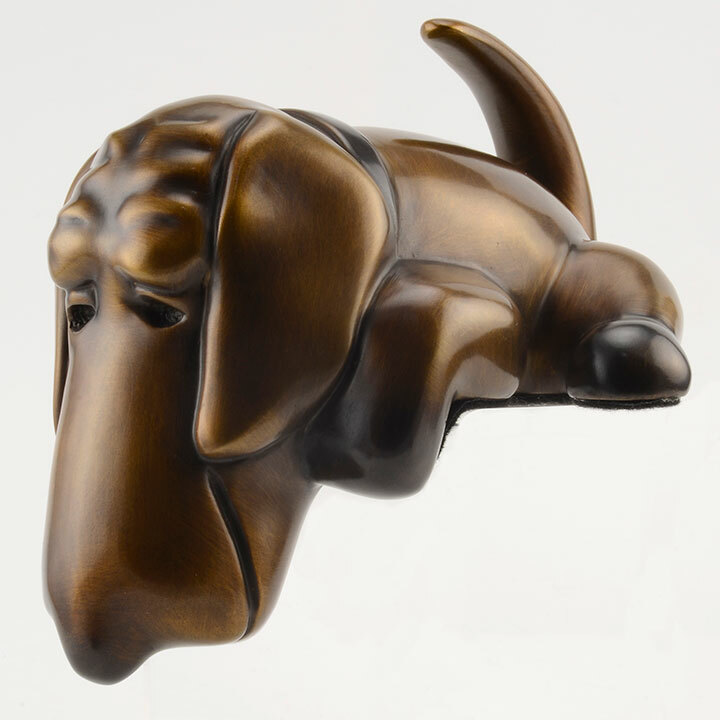 Misty's choice is a bronze sculpture of a whimsical puppy. "Clarence is a delightful little dog who will sit on the edge of your shelf or mantel and brighten each day," she says. "It was created by the acclaimed sculptor Marty Goldstein. This is a limited edition bronze, numbered 33/299. The perfect gift in this Year of the Dog for a friend, loved one, or for yourself!" Sales staff member Kathy's choice for March is a special document from the late 18th century. "This is an English document from George III dating back to 1765. It is just amazing to hold in your hands and read," she says. 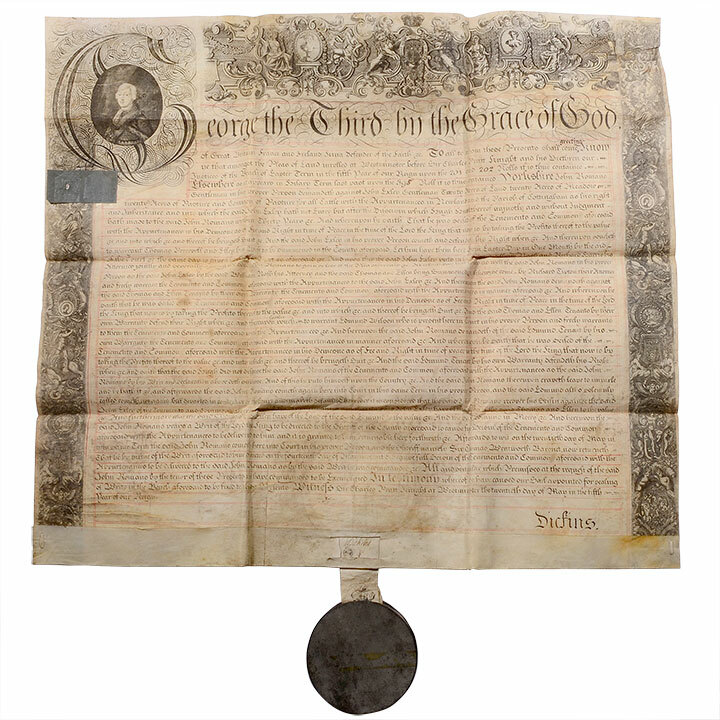 "It is a transfer of a deed, possibly designed to settle a dispute between neighbors in Yorkshire, England. The calligraphy is beautiful, and it still has the original wax seal in a tin box. To be living in the age of computers but to still be able to hold this historical document in your hands is just such a treat." 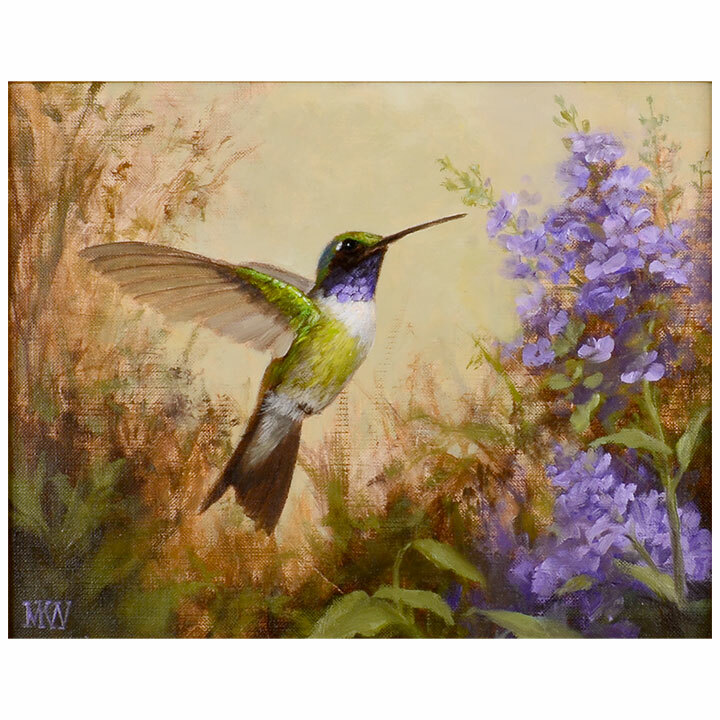 Art gallery curator Judith Hale has chosen Mary Kay West's painting Violet-Throated Hummingbird for her Staff Pick this month. "This year's Spring art show was the perfect opportunity to welcome oil painter Mary Kay West to the gallery," Judith says. "A native of North Carolina, Mary Kay grew up around her mother's easel. She worked in a variety of art related career choices, eventually settling in with her continuing passion of oil painting. After completing a 4 year apprenticeship with Ben Long and John Mac Kah at the Fine Arts League of Asheville, Mary Kay began specializing in still life. She is an award winning artist who can capture the luminous, vivid beauty of hummingbirds in flight."